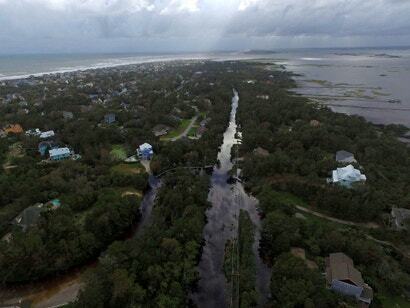 After ploughing into the North Carolina coast late last week, Florence lingered over the Carolinas all weekend like an unwanted house guest. 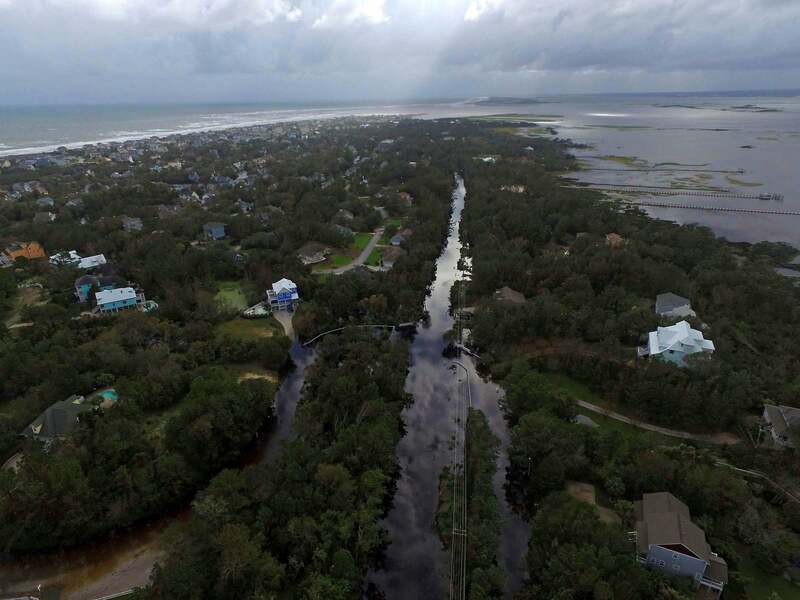 Though its winds had slackened to a tropical depression by Sunday local time, the record-setting rains it unleashed have created a flooding catastrophe that is still unfolding. 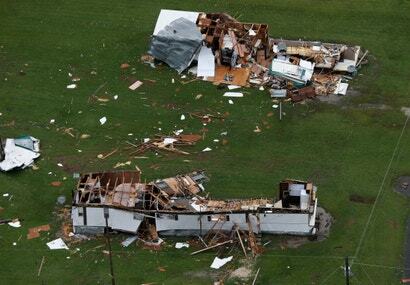 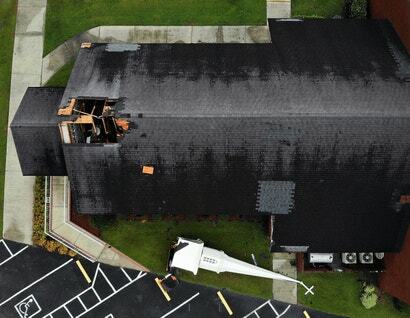 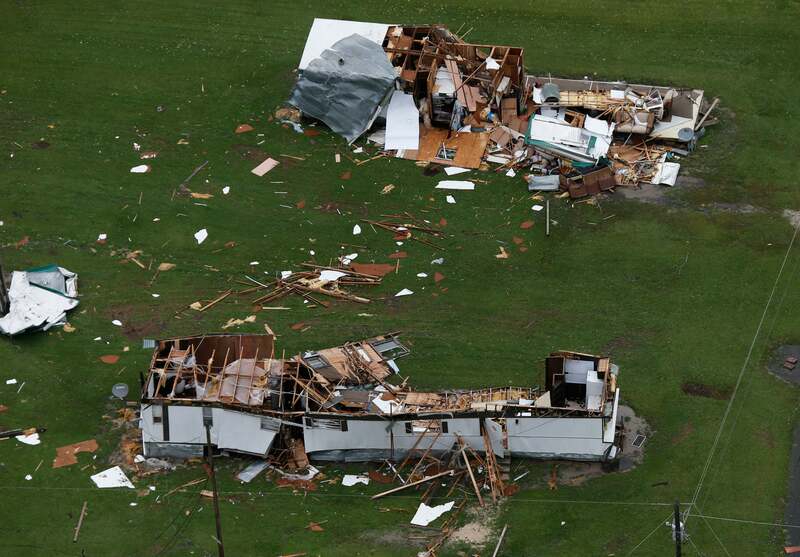 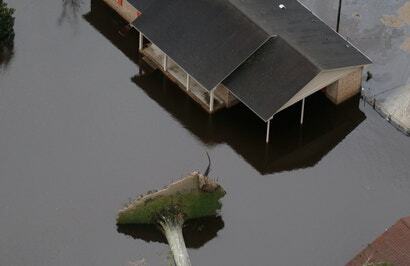 The scale of that catastrophe is now becoming apparent in aerial photographs. The storm has set tropical rainfall records for both South and North Carolina. 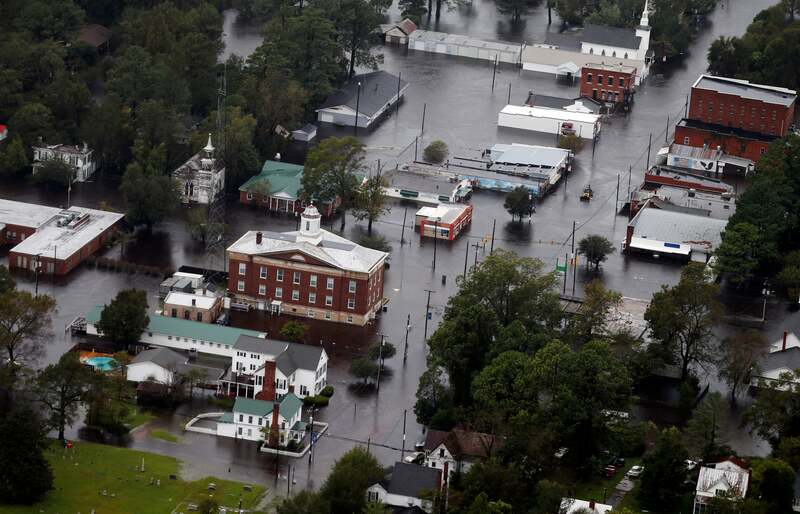 Multiple locations in North Carolina saw more than 76cm of rain, making this the wettest tropical system to ever hit the US East Coast. The relentless rain also helped Wilmington, North Carolina break its annual rainfall record with three months left to go in the year. As Florence stormed ashore, it backed up rivers with its powerful surge. 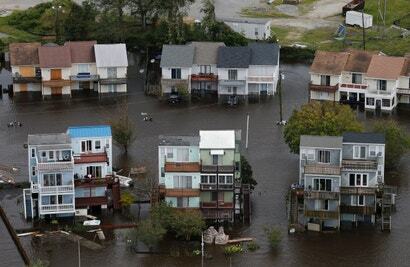 It also dumped copious rain inland, leaving water with nowhere to go but over the banks of rivers and streams. 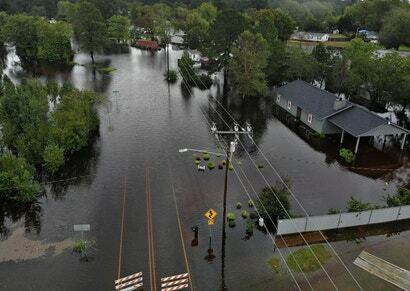 More than two dozen rivers in the Carolinas are currently in a major stage of flooding, and they could take all week to recede. 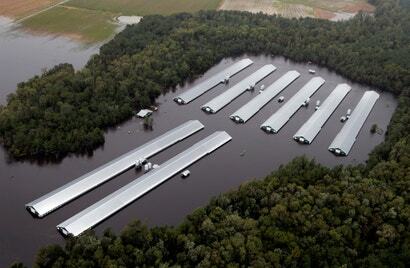 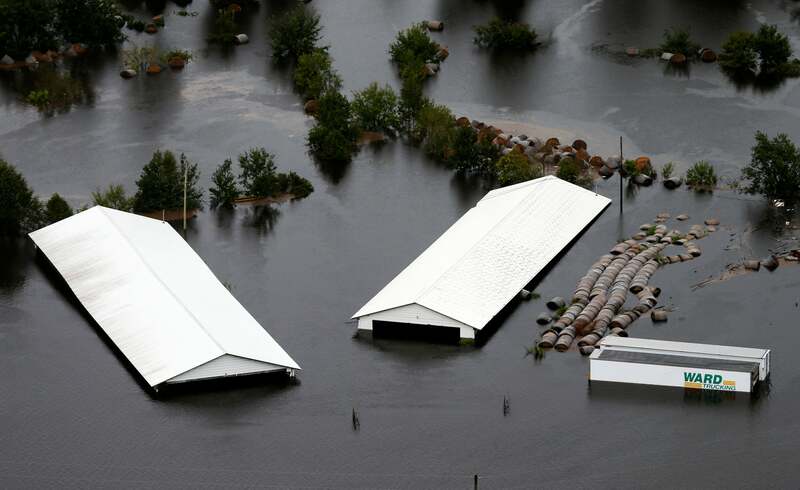 One of the big concerns with Florence was the storm’s potential to wreak havoc on industrial farms and coal ash sites. At least one coal ash site has started leaking, and more could be in danger as water continues to worm its way into the earthen dams that hold it back. 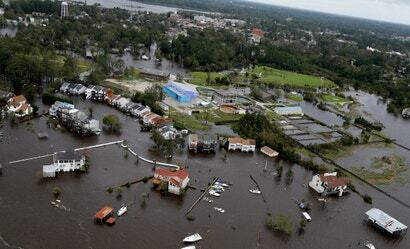 All this is to say Florence was everything forecasters expected and more. 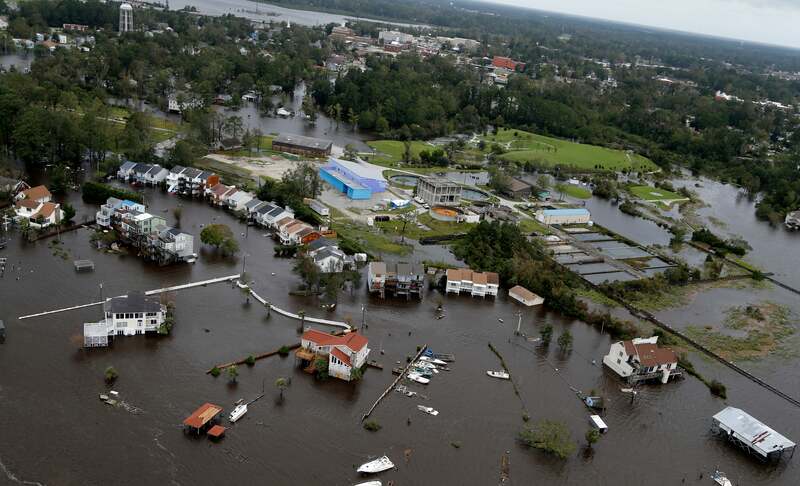 And with climate change increasing the odds of extreme precipitation and raising sea levels, we’ll almost certainly see more storms that can cause this kind of destruction.